President Mahmoud Abbas and the Fatah movement, which he commands, have unleashed a media campaign against Hamas and the resistance. If pressure from the Palestinian public fails to stop the campaign, Abbas may achieve politically what Israel failed to achieve militarily: forcing the Palestinian presidency to choose “peace with Israel ” over national reconciliation. It appears that President Abbas has, indeed, prioritised “peace with Israel .” He has devised plans for resuming negotiations, and is still banking on American support for such talks. This is the only explanation for the current anti-Hamas media campaign. Abbas sent his negotiators — Saeb Erekat, Majed Faraj and Maen Erekat — to Washington, where they met with US Secretary of State John Kerry a week ago last Wednesday. US State Department spokesperson Jen Psaki described the more than two-hour meeting as “constructive”. Abbas then prepared to obtain an Arab mandate, which seems guaranteed in advance, for his plans from the 142nd session of the Arab foreign ministers conference, held in Cairo this week. However, US Ambassador to the UN Samantha Power poured cold water over the Palestinian Authority (PA) president’s bid to obtain US backing for his plan, which he intends to put before the UN Security Council and UN General Assembly. The proposal would end the Israeli occupation of the West Bank and Gaza within three years, during which period negotiations would resume within three months with the occupying power over its borders with the Palestinian state. This clearly translates into an unequivocal US “No.” The Palestinian president’s new plan has run up against the same American wall that Palestinian negotiators have faced since negotiations were adopted as a strategic approach. The Zionist route remains the only way these negotiators can access the White House and the UN Security Council. There can be only one explanation for this plan. It is in fulfilment of a Palestinian promise not to resist the occupation and to offer the occupying power the opportunity to agree to yet another futile round of negotiations. Such negotiations will give Israel the time it needs to turn the Givaot colony into a major settler city on the 4,000 dunams of Palestinian land that it has just seized by declaring it “state land”. The purpose of this appropriation is to separate the Hebron and South Bethlehem governorates in the West Bank . It is also a means to deflect international humanitarian pressure in reaction to Israeli war crimes in Gaza , to evade Israel ’s obligations to the truce agreement with the resistance in Gaza , and to fuel internal Palestinian tensions until they reignite once more. It was not Hamas or the resistance that described Abbas’s new plan as a “spurious process”. It was independent Palestinian figures who expressed their views in a statement read out by Mamdouh Al-Akr, general commissioner of the Independent Organisation of Human Rights, on 2 September in Ramallah. 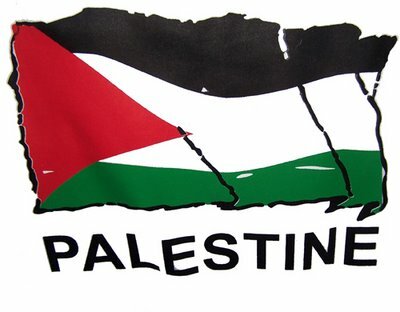 They called for an urgent meeting of the unified leadership of the Palestine Liberation Organisation (PLO), in accordance with the Cairo agreement of 2011, so that it can serve as a frame of reference for the Palestinian will and take critical national decisions. Activating the unified leadership framework of the PLO will put President Abbas’s call for a “single Palestinian central authority”, uniquely empowered to “determine matters of war and peace”, into its concrete national context. Only this context can confer legitimacy on a Palestinian leadership that does not derive its authority from resisting the occupation in all forms. Moreover, the currently missing “electoral legitimacy” is no longer sufficient in and of itself to allow Palestinian decisions on war and peace to remain in the hands of a leadership that is the product of elections that were held with the approval of the occupation power and in the framework of agreements signed with it. The Palestinian presidency has dropped the available option of resistance from the lexicon of its negotiating strategy, let alone the option of war, which is not available. The PA, in coordination with the occupation’s security apparatus, has become “the security proxy for the occupying power, rather than an instrument to end the occupation and establish the state,” as Palestinian analyst Hani Al-Masri wrote on 26 August. As a result, the occupying power, alone, holds the keys to the decision of war, which it continues to repeat, and to the decision of peace, which it still refuses to take. It appears that President Abbas is working against the tide of Palestinian public opinion, as voiced in a recent survey conducted by the Palestinian Centre for Policy and Survey Research (PCPSR) in Ramallah. According to this poll, only 22 per cent of respondents supported a resumption of negotiations, while 53 per cent said they regarded resistance as “the more effective way” to realise the creation of a Palestinian state. The results of the PCPSR poll contradict all the charges levelled by the president and Fatah against the resistance and Hamas. Of those polled, 79 per cent believe that the resistance emerged victorious from the recent war, while 86 per cent support the defensive use of rockets. Respondents gave very low ratings to the performance of the Palestinian president, the PA, the national unity government and the PLO, while the approval rating for Hamas was 88 per cent. What is the substance of this media campaign against Hamas? It ranges from blaming Hamas for prolonging the war and for the consequent loss of lives and material damage, to adopting the Israeli narrative regarding a Hamas-engineered “coup attempt” against the president in the West Bank and the existence of a “shadow government” in Gaza that prevents the national unity government from functioning. President Abbas’s instructions to create a “committee to hold a dialogue” with Hamas to discuss the “fate of the national unity government,” as announced by Amin Maqboul, secretary of the Fatah Revolutionary Council, does little to encourage optimism. The national unity government, national reconciliation, the Cairo agreement of 2011, the unified leadership framework that it stipulated, and the reactivation of the PLO, all stand at a crossroads. This is because of the confrontation stirred by the systematic smear campaign that President Abbas and the Fatah movement are waging against Hamas and the resistance. The campaign has created a media smokescreen behind which the occupation authority can conceal its foot-dragging in carrying out its obligations under the truce agreement, which will probably be echoed in Israeli procrastination on continuing with truce talks due to be held in Cairo. It should also be stressed that to accuse the resistance and Hamas of prolonging the war is to exonerate the occupation power of responsibility. The Israeli media was quick to capitalise on this, further proof of the extensive coverage the campaign has received. Indeed, Israeli government spokesman Mark Regev virtually reiterated it verbatim when he said that the Egyptian initiative was on the table from 15 July and that while the Arab League and Israel had approved the initiative, Hamas rejected it, only to turn around and agree to it a month later. “If [Hamas] had agreed then to what it agrees to now” it would have been possible “to avoid all that bloodshed,” he said. When Abbas says that “it would have been possible” to avert the human and material losses of the recent conflict he is effectively blaming the resistance, not the occupation, for the last war on Gaza and the two wars since 2008 that preceded it. The spectre of discord once again hovers over Palestinian unity, with Palestinian opinion divided over a programme of negotiations versus a programme of resistance. This is the breach through which Arab and non-Arab “axes” penetrate into the Palestinian interior, deepening rather than mending Palestinian rifts. This article was first published and translated from Arabic by Al-Ahram Weekly on September 11, 2014.